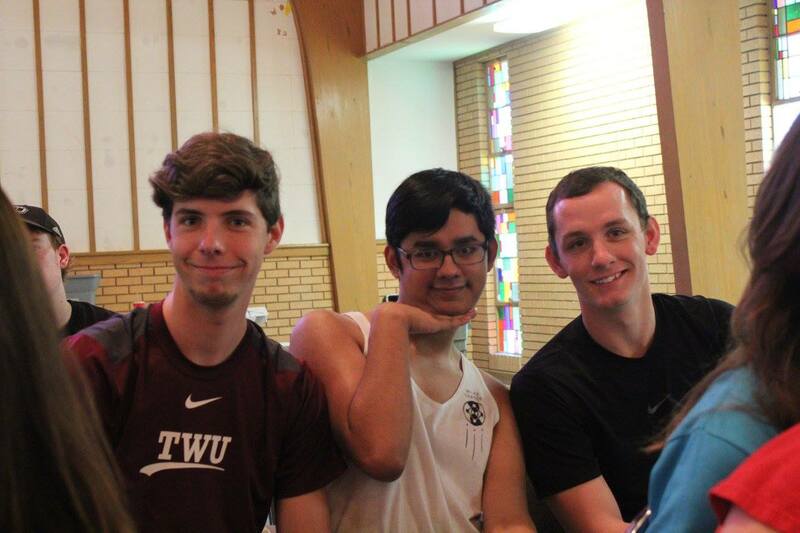 God has been so good to us this year at TWU. He is developing this community and bringing people into a closer and deeper relationship with Him, and it's so exciting to be a part of that. TWU is a challenging campus to be on because the majority of people are already "Christian," but the majority of those students have no idea or no interest in having an actual relationship with God. Slowly, but surely, God is changing the meaning of what a Christian is at this campus, and he's starting with these people in the photos below. I've been so blessed to get to be a part of watching these people grow in the Lord. Not everyone who is involved at TWU is in these photos, as well which is exciting to say. We are expanding a LOT, and I think it's because people are hungry to know God. Also I wish I had more photos, but I'm awful at taking them! Any who, here are a few updates from the month. 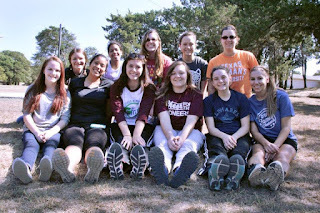 This year we had almost 20 people from TWU go to Fall Camp! Now I'm a little hesitant to share numbers because I don't want to give the impression that numbers=success, but I also think it's exciting to share that that many people are experiencing God in new ways and developing meaningful friendships. 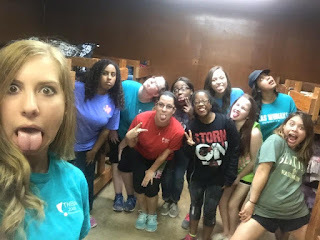 It was also very cool because a girl who goes to Collin College in McKinney messaged one of our core facilitators to see if she could meet some girls from TWU. She is planning to transfer to the school next fall. She has a friend at Collin College Spring Creek, so she knows all about FOCUS. I want to highlight this story and girl because it's so cool to me that God is working in people who don't even go to the colleges that FOCUS is based on! I really wish that I had more photos! We had sooooo many people come to this event, and it would have been great to capture that. Our Halloween Party was one of our outreach events. We asked our students to invite any and all of their friends and come hang out. Our goal was just getting people connected. I don't know if your Facebook news feed has been blowing up with articles on college depression, but every so often I'll just have a ton of those. Basically they are just a ton of stories about how college was one of the most depressing times of their lives because they didn't feel like they had any friends. We want to help change that. With our Bring Your Own Friend event's we want our students to ask anyone they interact with on a weekly classes. The event is also non threatening. If people never want to step inside a church, they don't have to. We had 4 houses that people let us use, and we had a different event going on at each of their houses. 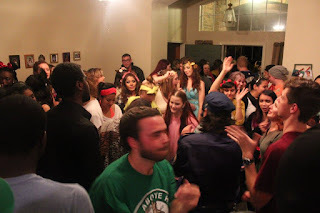 We had probably about 200 people at the event, including several TWU students that hardly ever come to anything we do. It was just exciting to see our students really take this opportunity seriously and invite so many people! Thanks for all your thoughts and prayers. I really think your support has been invaluable! Right now we're thinking about who the people we could be sending to SICM are, and I'd ask that you be praying for this. We really want God to be leading these conversations and decisions. I'd also ask that you be praying for the upcoming break. Our students are getting tired and overwhelmed this time of year, so we ask that you be praying for a restful and safe break.